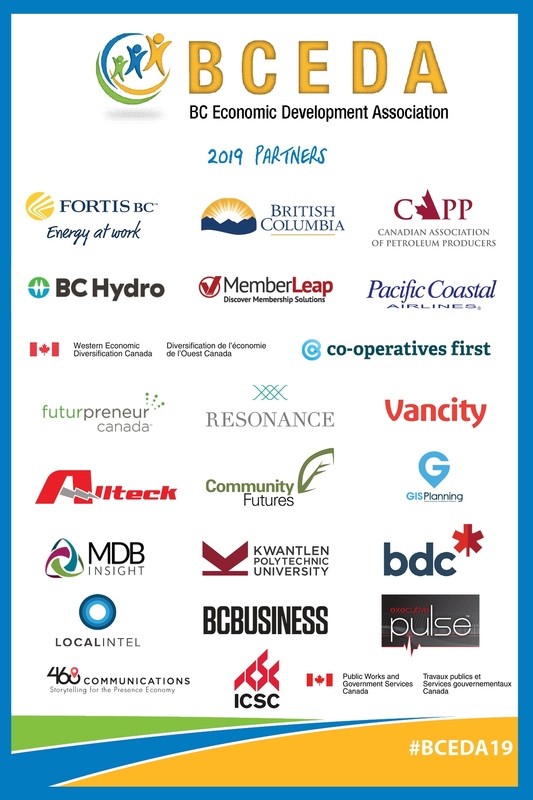 BREAKING NEWS - BCEDA Launches the BC Economic Summit in Action streaming page. See details of sponsors, twitter posts, upcoming sessions, and more - all in one spot as it happens. Check it out here. Hotel Update: There is no availability remaining at the Westin Wall Centre for Sunday and Monday nights. Please call the Westin Wall Centre directly to inquire at (604) 303-6565. There is availability on the night of Tuesday, March 6th, Wednesday, March 7th and Thursday, March 8th. Another hotel within walking distance is the Hampton Inn Vancouver Airport. The BCEDA BC Economic Summit takes you out of the office and gives you the space to imagine, create and discuss key issues facing economic developers, local Aboriginal and non-Aboriginal leaders, community planners, and more, with some of the most creative and strategic minds in the industry. Every community in the world is going through constant change. Over the past number of years, with a changing global economy, communities in British Columbia have had to identify ways that they can diversify and create more sustainable local economies. Through strategic planning, public consultation and business retention, communities have developed programs to turn the dreams of local citizens and businesses into realities. 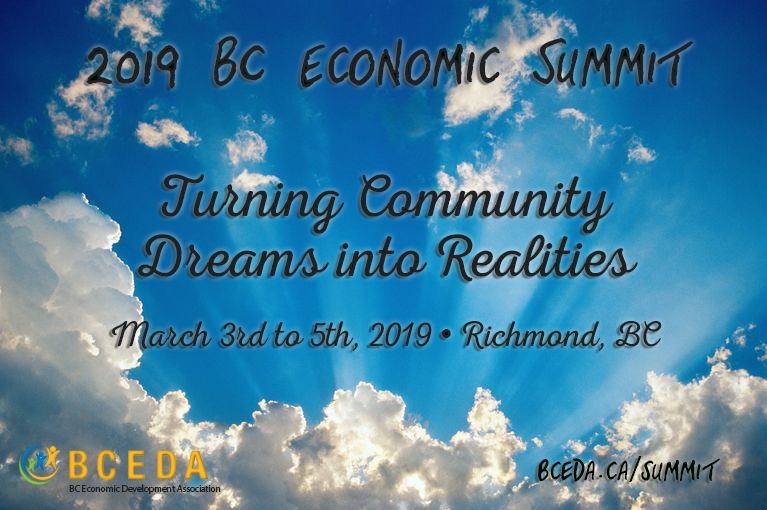 The 2019 BC Economic Summit will look at the steps that local and Indigenous governments are taking to turn dreams into realities and at the successes and challenges that they are having. The Summit will also explore how Indigenous communities, local governments and the private sector are all working together to help communities achieve their dreams. Immediately following the Summit, from March 6th to 7th, BCEDA will host IEDC's Technology Led Economic Development Course. Bundle both events to save!